Andrew J. Reinhardt has been named the recipient of the first Specialty Bar Leader of the Year award by the Virginia State Bar’s Conference of Local Bar Associations. Reinhardt is being honored for his work with the Virginia Workers’ Compensation American Inn of Court. The award identifies past and active leaders of specialty bar associations who have continued to offer important service to the bench, bar, and public. The award is a continuing monument to the dedication of specialty bar leaders. It also emphasizes the importance of close cooperation between the VSB and specialty bar leaders. 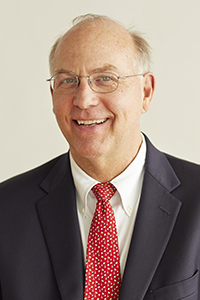 Walsh noted that Reinhardt has served on the Virginia Trial Lawyers Association board of governors for fifteen years. He was chair of the Workers’ Compensation Section in 2002. He has also served as president of the Workers’ Injury Law & Advocacy Group in 2010-11 and remains on that organization’s board. Reinhardt founded and organized the Virginia Workers’ Compensation American Inn of Court. The Inn has 193 members and has sponsored events throughout Virginia that bring members together for educational enrichment and social interaction. “Mr. Reinhardt made the Workers’ Compensation Inn of Court a driving force in promoting ethics, professionalism and civility among members,” Walsh wrote. The inaugural Specialty Bar Leader of the Year Award will be presented June 16, 2017, at the Virginia State Bar’s Annual Meeting in Virginia Beach.